We are living in a world where the effects of energy systems on society are becoming more crucial by the day and ignoring them will become more and more difficult. This statement while true is, in some ways, very misleading. It is not the case that energy has become more important to the functioning of society – it has always been one of the most important factors. However, the wave of extreme energy extraction methods that is sweeping across the planet, driven by rising energy prices and constrained supplies, is forcing similarly rapid changes in the world around us. The effects that extreme energy will have on human society and it’s environment are already becoming evident, though few people seem to be paying much attention. People are just beginning to wake up to the fact that some individual extreme energy processes are themselves extremely harmful to the environment (e.g. Tar Sands and Fracking) but very little thought is being devoted to the effects of extreme energy as a whole or how it is likely to evolve in the future. In order to try to build some sort of understanding of this big picture it will necessary examine both the physical nature of extreme energy and the nature of our society. A particularly important physical concept to understand is ‘net energy’ or energy return on investment (EROI). Essentially, to do anything requires energy, including obtaining energy. The amount of useful energy you get out of an energy extraction process has to take into account the amount of energy used in that process. To take an extremely unoriginal example, a cheetah must expend energy to chase and catch a gazelle before it can get energy from eating it. A cheetah can run extremely fast over short distances but uses a huge amount of energy to do so. A cheetah that chased every gazelle that it saw would waste more energy than it would ever get from the gazelles it caught. Net energy is energy available after subtracting the energy used in the process of obtaining that energy. 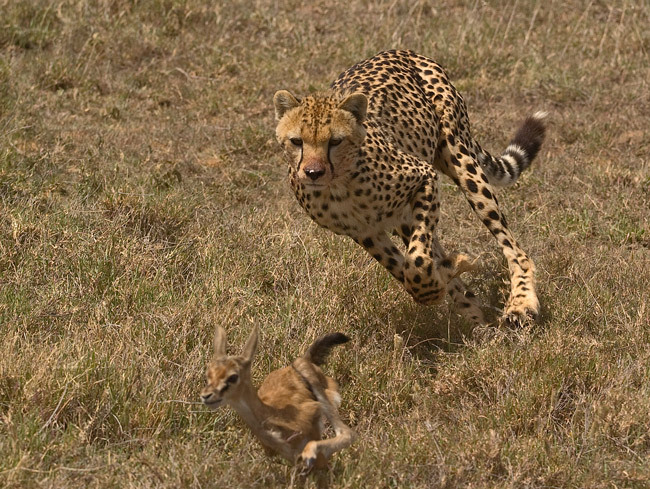 In the case of the cheetah, it must only chase gazelles in situations where it seems likely it will catch them quickly, without expenditure of too much energy, otherwise the net energy of it’s hunting will drop too low and it will starve. When we look at the net energy of fossil fuel extraction over the last few centuries a pattern quickly emerges. Take coal as an example. 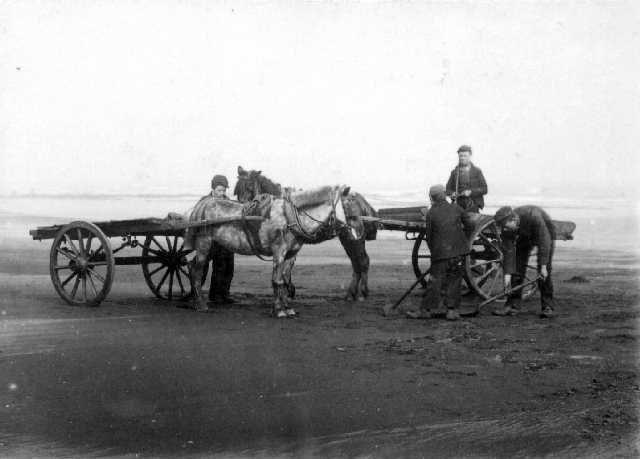 The first human exploitation involved just picking up coal that was lying around on the surface (particularly on beaches as ‘sea coal’) and burning it. Go look for some coal on a beach today and unless a ship carrying some has sunk nearby recently you will not find a great deal. That is because somebody got there hundreds of years before you. Sea coal was getting scarce and tunnel mining for coal was happening in England by the 1200s CE. Obviously digging tunnels takes more energy than picking coal off the ground, so the net energy was lower. Over the years coal mines dug deeper and the net energy declined still further, as the energy expended to get the coal increased. Now tunnel mines have almost all closed as their minable coal is exhausted (UK coal production peaked in the 1913) and open cast mining to scrape out the last accessible coal is the order of the day. This involves digging out hundreds of feet of overburden (rock) in order to get to a coal seam, using even more energy in the process and with an even lower net energy. The same pattern can be seen in the case of oil production. A comparison of two of the most well known oil wells in history is very instructive. The first is the Lucas-1 well that was drilled on a hill called Spindletop near Beaumont, Texas in 1901. After drilling the well to a depth of 1,139 ft, with a 3 man team using a rotary drill powered by a small steam engine, the well blew out causing a 150 ft high gusher that produced about 100,000 barrels of oil a day. It took nine days to cap the well and it went on to produce millions of barrels of oil. The second is the Macondo-1 well that was drilled in 5,067 ft of water 41 miles off the coast of Louisiana. The well was drilled to 4,023 ft below the sea floor by the Transocean Marianas semi-submersible drilling rig, before the rig was damaged by Hurricane Ida in 2009. In 2010 the Transocean Deepwater Horizon rig and its crew of 146 resumed drilling the well. After drilling the well to a depth of 13,293 ft below the sea floor, a blowout while the casing was being cemented destroyed the rig, killed 11 of the crew and resulted in the well gushing 62,000 barrels of oil per day into the Gulf of Mexico. It took 84 days to cap the well and it will never produce any oil. While early oil wells like Lucas-1 could produce over 100 times as much energy as was needed to drill and maintain them, this has dropped to as low as 4 times the energy used for deepwater drilling (or less than zero if the well blows up). This pattern is replicated wherever you look in the energy extraction sector. The system goes after the easy to extract resources first and moves on to progressively harder to extract resources as the easier ones are exhausted. In this framework extreme energy can be seen to be a rather arbitrary categorisation. All energy extraction has been getting progressively more extreme over time but that process has accelerated significantly in recent years as energy prices have risen and fossil fuel extraction has become more constrained globally. This process is now resulting in some genuinely new extraction processes being tried such as Tar Sands and Underground Coal Gasification, but the example of the Deepwater Horizon disaster illustrates that extreme versions of conventional extraction techniques are quite capable of causing considerable mayhem on their own. In either case though the big picture is one of increasingly more energy expended to get less energy in return. This trend can only continue as long as the net energy of the process remains reasonably positive. Obviously at some point the net energy from fossil fuel extraction will drop too low and extraction will stop. Note there will still be plenty of fossil fuels in the ground at that point but they will not be useful energy sources. Long before this happens however extreme energy will have huge and increasing effects on human society. In order to see what these are we need to take the big picture physical issues and combine them with an understanding of how society functions. Most importantly, what does the decrease in net energy over time from the spread of extreme energy processes mean for the functioning of society? The obvious answer is that the amount of net energy available to run society is going to decline over time unless the total amount of energy extracted is growing faster than the energy needed to extract it. While this was true during most of the industrial age we are now in a situation where total energy production is not nearly rising fast enough to counteract the increasing costs of extracting it. Net energy available to society is therefore set to contract in future. The corollary of this is that the amount of energy used in energy extraction processes will grow with time. What this really means translated into the language of the present system is that the fraction of gross domestic product (GDP) devoted to energy extraction is going to grow with time and while the fraction of GDP available to do everything else will fall. Basically Exxon, Shell etc. will grow while other parts of the economy shrink. We are already experiencing the effects of this expansion in extreme energy in the sweeping cuts to resources allocated to large sections of society. The fact that the use of extreme energy processes has rapidly accelerated over the last decade raises the question of whether it is possible to directly measure this effect already. Combining energy prices, global energy consumption and global GDP it is possible to calculate the fraction of global GDP that is devoted to the energy sector. This calculation is obviously quite crude and rests on a number of assumes. Most importantly if the fraction of revenue extracted in profit, rather than being spent on costs, is large and changing with time then this will obscure the effect we are trying to observe. At least for the 8 large transnational oil companies for which there is good data this appears not to be the case. Their costs have rocketed over the last 6 years while their profits have grown much more slowly, and are not a large fraction of their revenue in any case. The graph below should therefore be a reasonable representation of the overall trend even though the actually values may not be perfectly accurate. It can be seen that the over last decade (and particularly in the last few years) the fraction of global GDP used in energy extraction has more than doubled from under 5 percent to over 10 percent. So it appears that this expected effect is extremely real and is set to get worse in the future. Why if this huge shift in the structure of human society is happening, is there no public debate or even awareness of these issues? One factor is that redistribution of resources within the present system is being driven partially by the “invisible hand of the market” and even where some concious decisions are being taken, as with government cuts, they are being portrayed as inevitable consequences of market forces. That said small parts of this big picture are beginning to peek out from behind the various curtains constructed to hide them. For instance a recent study by mainstream economists found that the total cost to society of using coal to generate electricity exceeds the value of the electricity generated. While only a small facet of a much bigger picture it does show how this reality is proving harder and harder to obscure. Extreme energy is a cancer at the heart of society that is growing quickly and rapidly displacing other more productive activities, in terms of serving human needs. The system, due to its dependence on vast quantities of concentrated energy, is on a treadmill that is forcing it to run fast and faster just to stand still. We face a future where extreme energy grows unchecked until it displaces almost all other human activity and enslaves most of the population to do its bidding. What will a world be like where over half the economy is devoted to energy production, most of which goes straight back into producing more energy? Looking to places such as the Niger Delta, where people ground into abject poverty by a massive energy extraction system from which they derive no benefit, may give us some idea of the situation the whole world is headed towards. Aside from the effects of these processes on the structure of human society, their other main effect is on the destruction of the environment. Effort (measured in GDP) put into resource extraction pretty much translates directly into environmental destruction with more effort resulting in more damage to the environment. This is observed with pretty much all extreme energy extraction methods, be it oil drilling or coal mining. 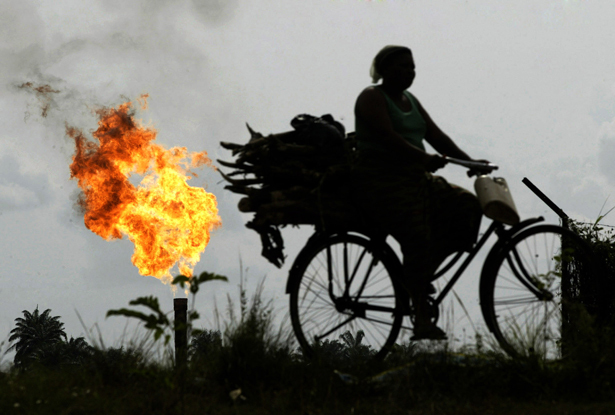 On a global scale, the spread of extreme energy methods is also accelerating climate change. Coal use is growing as a fraction of energy usage, unconventional gas is becoming more widespread and even more carbon intensive processes like Tar Sands and Underground Coal Gasification are taking off. All these trends are pushing up the amount of greenhouse gas emissions per unit of energy produced and the conclusion that more extreme energy means more climate change seems inescapable. As it stands the world can only afford to burn a quarter of remaining conventional fossil fuels but extreme energy is taking us down a path of vastly higher emissions. The acceleration in the use of extreme energy practices therefore seems to be the key factor driving the acceleration in both the impoverishment of human society and destruction of the environment that we have seen in recent years. The ultimate question that must be answered is whether this process is inevitable or whether there is something that can be done to change the path we are on. Considering the analogy of the cheetah again is perhaps useful. The hunting strategy of a successful cheetah will not involve attempting to maximise the number of kills it makes at any cost. Instead it will carefully consider the risks in terms of energy expenditure of each potential chase and only expend energy on those that stand a reasonable chance of success. The cheetah’s aim is not to maximise the total amount of food it eats (as the present system attempts to maximise the amount of energy it uses) but to obtain sufficient net energy in order to remain healthy. For a cheetah a greater abundance of game could actually mean it needs to eat less as it might well need to expend less energy hunting and so require less food. This is in stark contrast to the mindless fixation on growth of the present system which has more in common with a virus than it does with more sophisticated lifeforms. The path we are on is one where the net energy available to society is progressively driven to zero while the rest of society is eviscerated and our environment is rendered increasingly uninhabitable. We are faced with a fork in the road ahead, perhaps the last in series of such chances we have had to abandon this system that is literally devouring our planet. If we do not act soon the to stop the destruction we will find that we have nothing left worth saving.